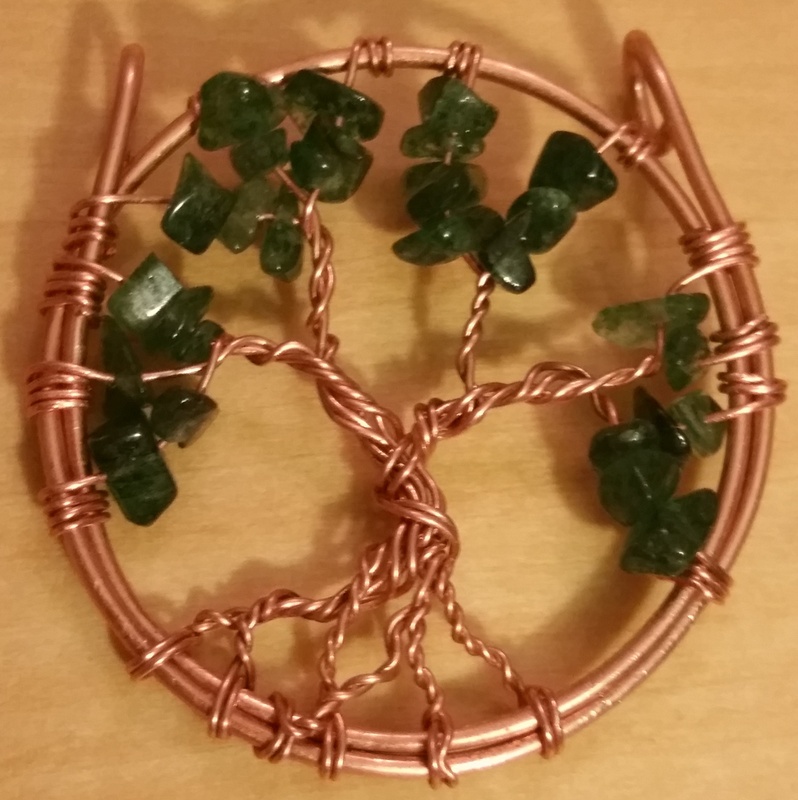 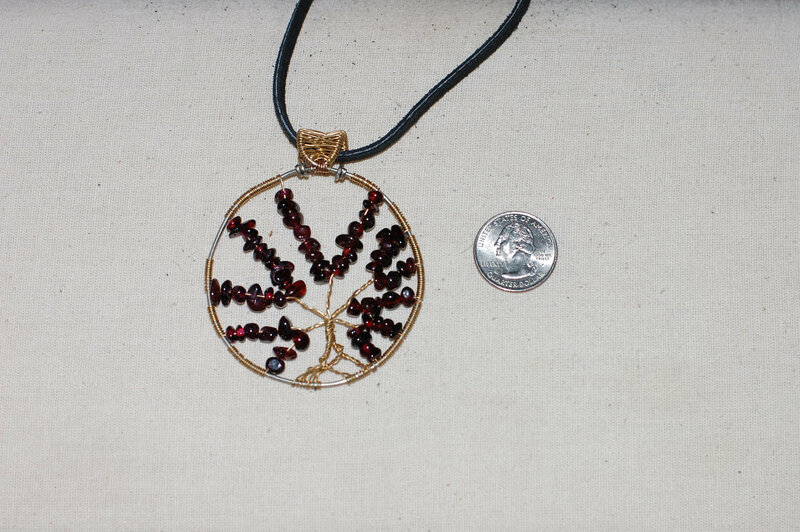 Nickel and Brass Tree of Life with Garnet Leaves. 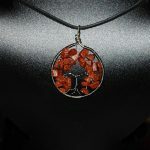 Warning: Nickel may cause an allergic reaction in some people. 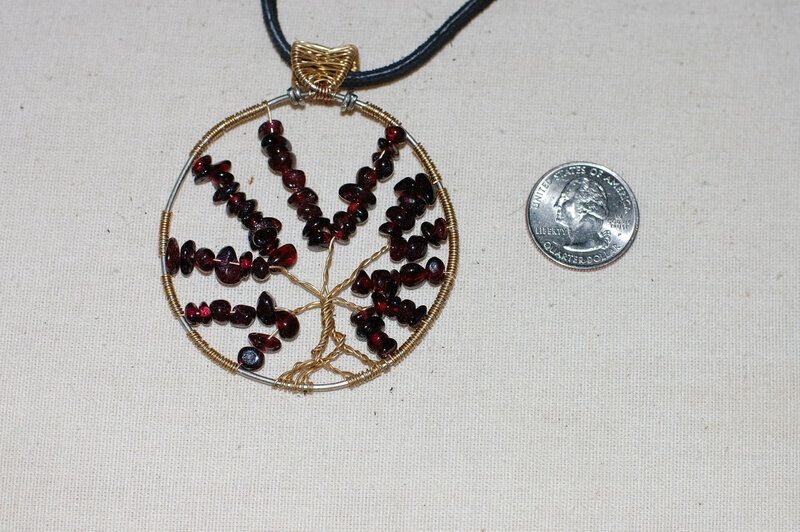 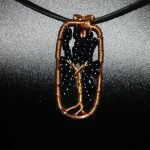 This attractive pendant is made from nickel wire for the frame, brass wire for the branches and trunk, and garnet beads. 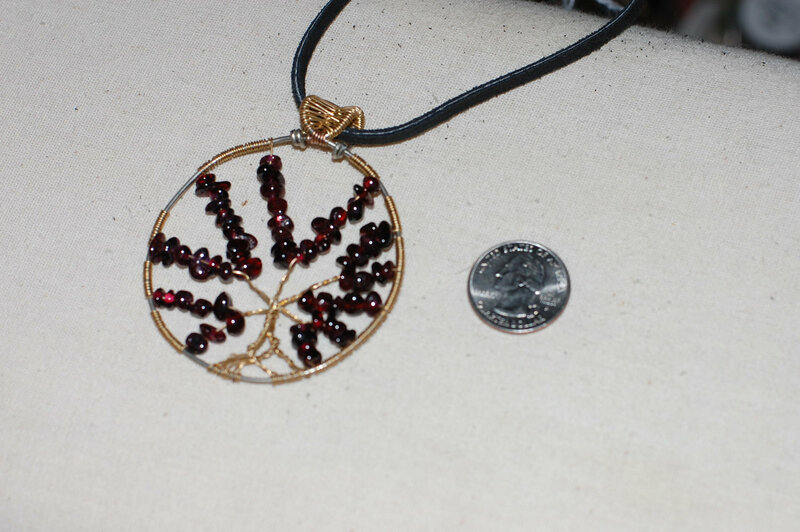 A quarter has been used as a size reference in the photos. 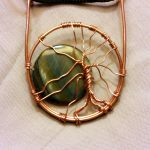 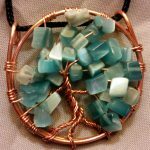 Carry a representation of the Forest with you. 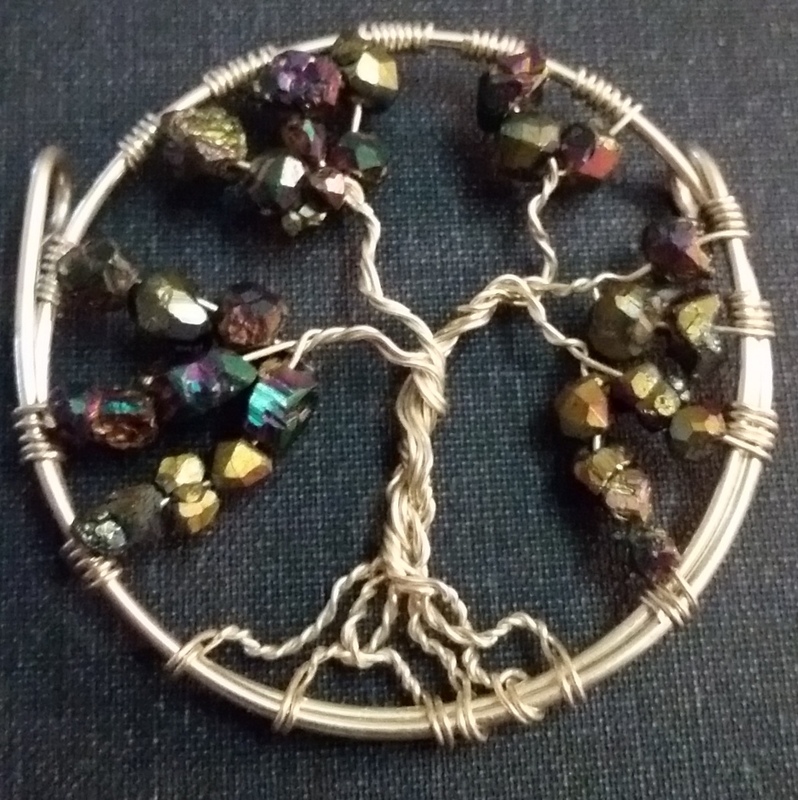 A tree of nickel and brass with crystal leaves, like something out of a fairy tale. 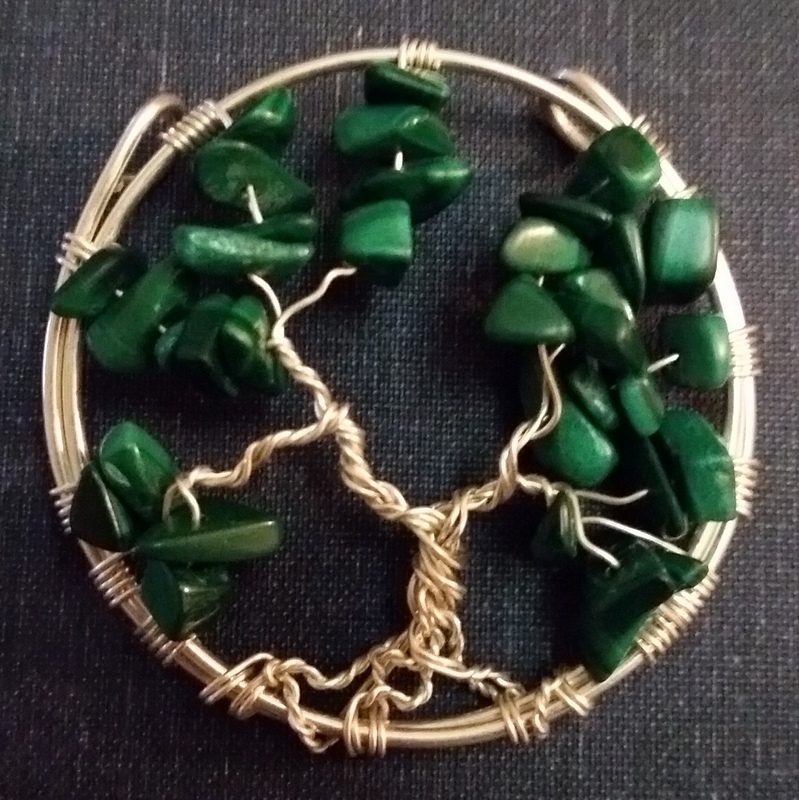 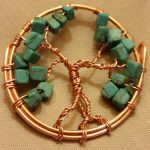 Perfect for pagans, artists, children, otherkin, or any tree-lovers. 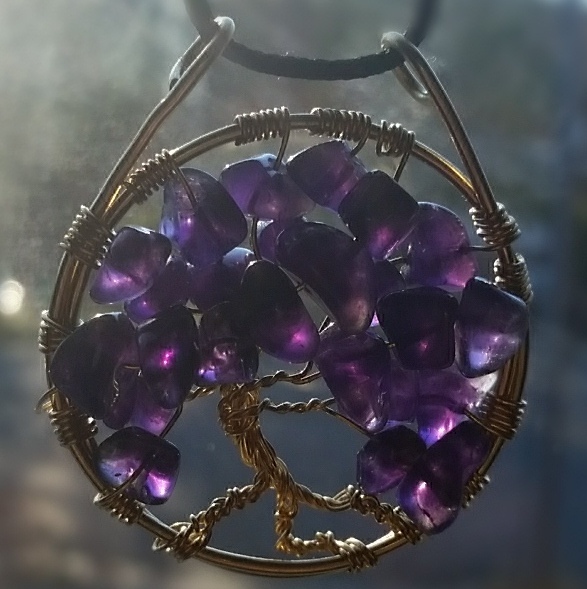 This pendant has been Reiki-attuned. 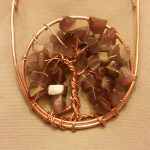 Warning: Nickel may cause an allergic reaction in some people.